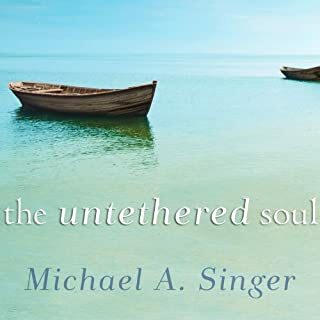 Every bit of the Untethered Soul was what I needed to hear in that moment. It was so relevant in a world that feels like a place where it’s hard to find peace. It has changed how I think & view life. I am grateful for the information. , mentioned in the book) but I'm not self employed, I say NO to Facebook, and I haven't mastered social media.....but I am a leader & I am creative & I love to be inspired. 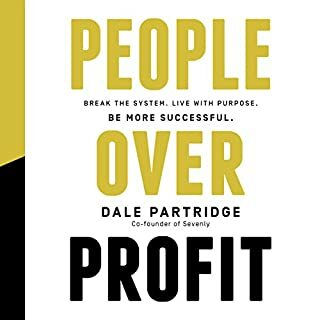 I have a feeling I am not the typical demographic that follows Dale Partridge, since finishing his book I have told every person who will stand still for 30 seconds to listen to this book. I am committed to staying relevant in the marketplace as a leader and I believe People over Profit is going to be my personal handbook as I move forward and do so. I am so impressed by Dale and his candor. I hope he continues to do amazing things and I can't wait to listen all about it!